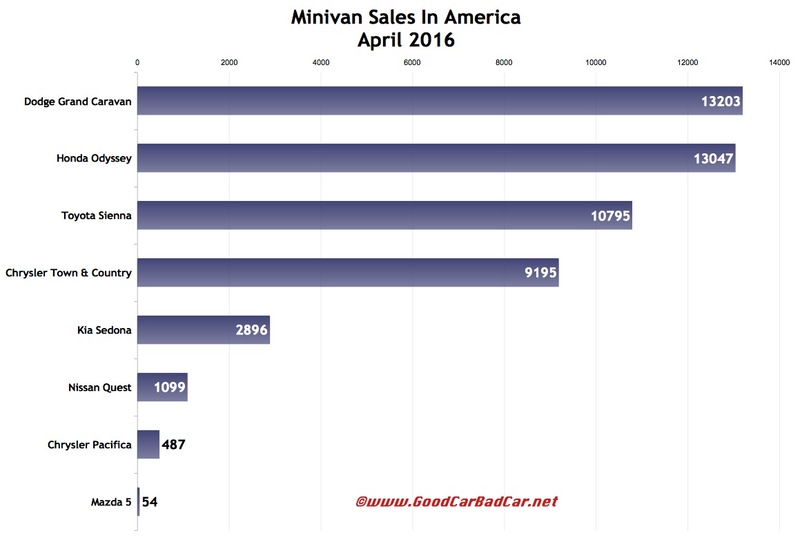 Sales of minivans continued to rapidly expand in the United States in April 2016 as Fiat Chrysler’s dealers welcomed the all-new Town & Country-replacing Chrysler Pacifica. 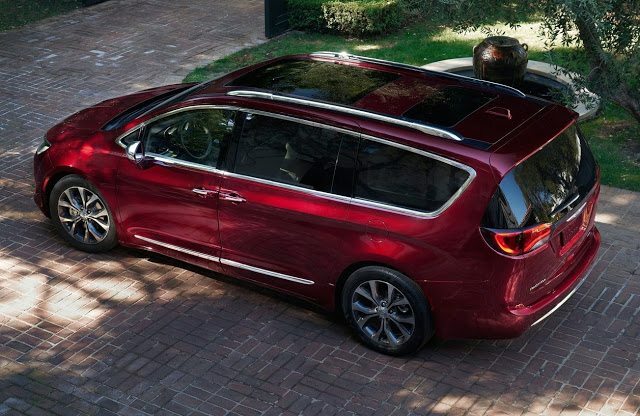 But the massive 33% increase in minivan volume occurred not because of a handful of additional Pacifica sales, vehicles which couldn’t have been sold at this stage last year. Honda Odyssey volume jumped 18% to a 33-month high and sales of the vehicles the Pacifica is intended to replace improved greatly, year-over-year. Rewind to last spring and fleet sales of the Town & Country and its Dodge Grand Caravan sibling amounted to nothing because of retooling at their Windsor, Ontario, plant. 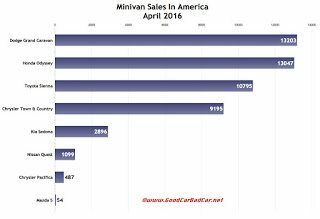 But with healthy inventory and extra hype in the minivan arena because of the Pacifica, the Town & Country and Grand Caravan combined to generate 44% of all U.S. minivan sales in April 2016, up from 29% in April 2015. The Dodge Grand Caravan is now the year-to-date leader in the category, 1591 sales ahead of the Toyota Sienna. You can click any model name in the tables below to find historical monthly and yearly U.S. auto sales data. You can also select a make and model at GCBC’s Sales Stats page. This table is sortable, so you can rank minivans any which way you like. Suggestions on how GCBC should break down segments can be passed on through the Contact page.